One 16×20 black frame with a white mat, cut to size. 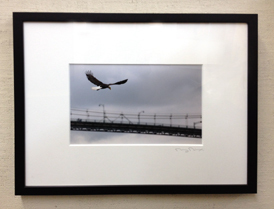 We would like to invite photographers to the store for a special on a 16×20 frame, with black moulding and a white mat. Bring in your unframed pictures, and we will cut the mat to size. The special will be valid for a limited time. We are looking forward to seeing some interesting pictures!